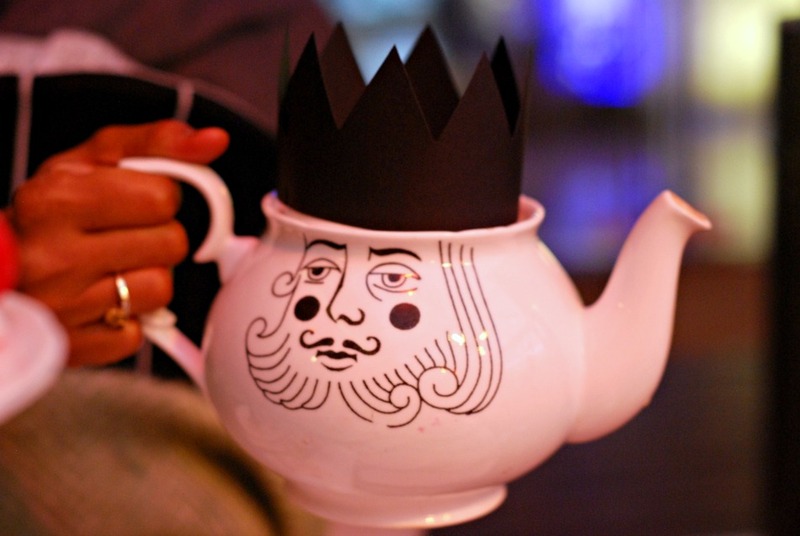 Mad Hatters Afternoon Tea at The Sanderson, London. It's been a while since I did an afternoon tea post, since I moved to Sydney I don't have them very often these days (hello, you can't have scones with no clotted cream!). 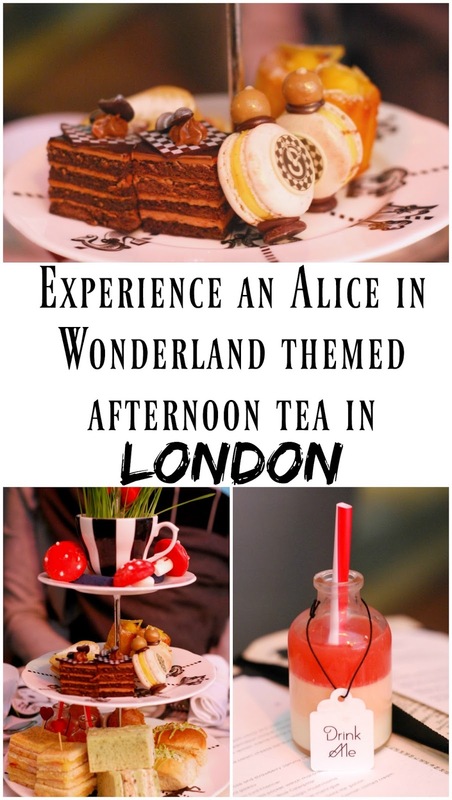 When I was back in London over Christmas Shev and I headed to the luxurious and oh-so-trendy Sanderson Hotel in Fitzrovia to experience their Mad Hatters Afternoon Tea. 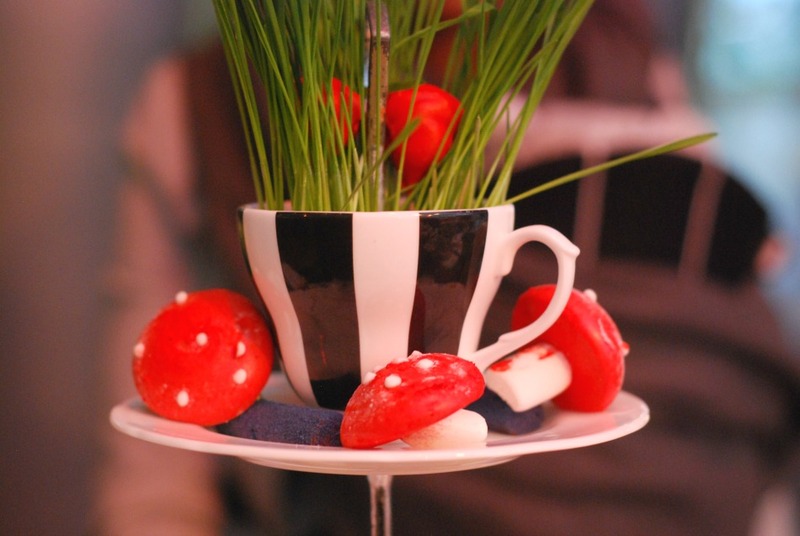 I'm a huge fan of a whimsical afternoon tea, and their Alice in Wonderland themed one certainly didn't disappoint. We met in the hotel lobby and wandered down the Long Bar towards the restaurant entrance. We were a little early for our reservation, and were told our table wasn't ready As we had a sleeping newborn baby with us (Baby Vinny, who you can see in this post) we wanted to get seated ASAP so we could eat while he was still asleep. The lady showed us to a table outside in the courtyard with a heater near the table, but it was still very cold and poor little Vinny's face was icy despite him being all bundled up. The tea began with a few really delicious savoury treats. Smoked salmon scotch quails egg with caviar and cream cheese, a Ham and Parmesan Croque-Monsieur, a Cornish crab bridge roll (my fave), and a classic cucumber and cream cheese sandwich on pesto bread. Next we moved on to the scones whilst sipping on our tea. 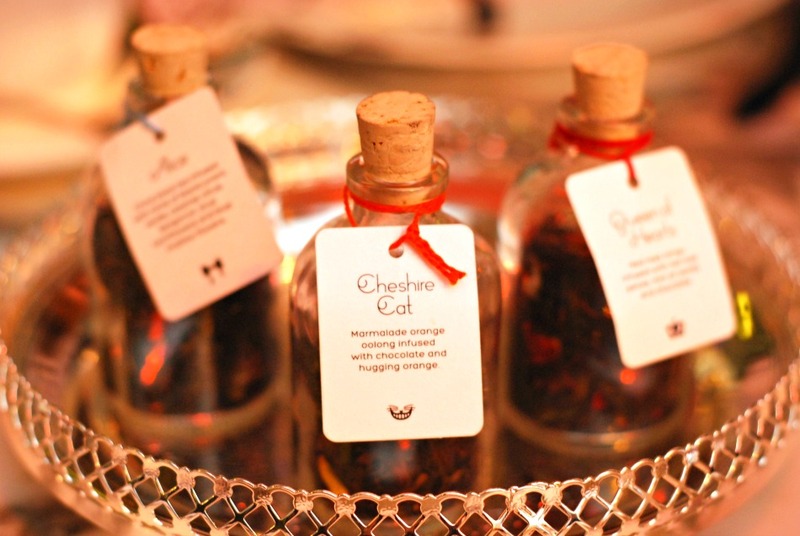 We adored the tea selection and really struggled with which one to choose as they all sounded so amazing! In the end I went with the Queen of Hearts, which was a berry concoction. I'm not actually the biggest scone fan (just give me ALL the cream), and always drives me mad when places give you heaps of scones as it just feels like such a waste not to eat them all. So I was pleasantly surprised to find that The Sanderson give you a more manageable two scones each. I don't know about you, but personally I put the jam on first because if the scones are warm it means the thick clotted cream doesn't melt. After scoffing the scones we then began on the incredible array of sweet treats. There was the Queen of Hearts Rose and Strawberry Jammy Dodger, the Mocha Chessboard Gateau (Shev loves a gateau), the Tweedle Dee Lemon Curd Financier (my fave), the Mad March Hare Vanilla Pocket Macaron, a Chocolate and Pistachio Blue Caterpillar, Wonderland Marshmallow Magic Mushrooms (another delish one), and the Mad Hatters Lost Carrot and Fennel Meringue. 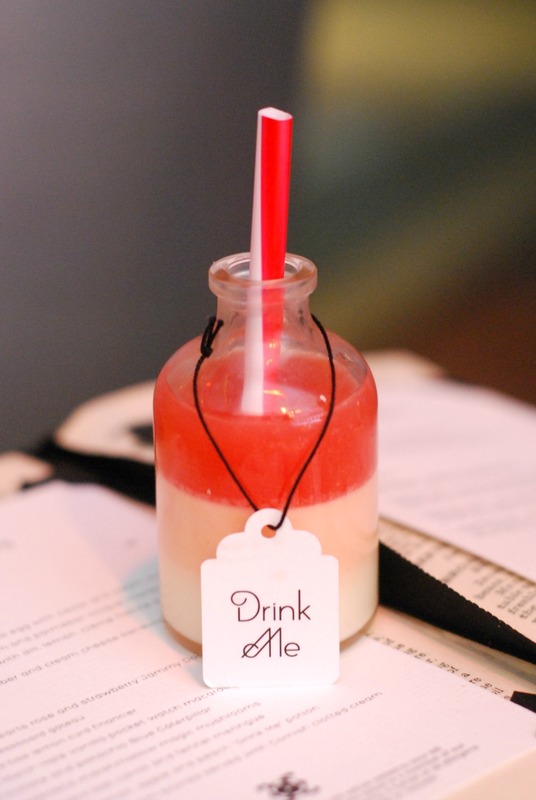 There was also a 'drink me' potion, which consisted of cinnamon, apple, and peach. It was a sort of jelly and custard concoction, which is supposed to melt as it warms up to create a sugary sweet drink. Unfortunately as it was so cold it remained firmly solid, so we just sort of stirred it around and tried to 'drink' it as best we could. 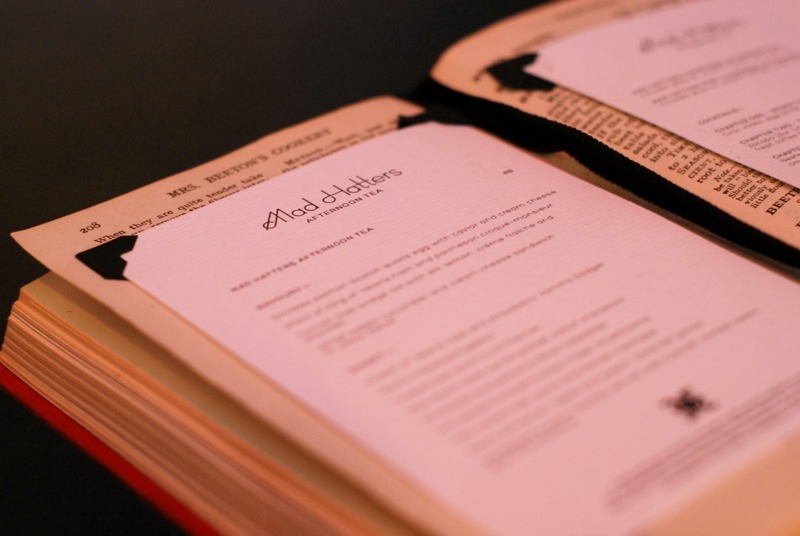 We really enjoyed having a girlie afternoon tea and catch up, and we adored the whimsical little touches; from the menu being inside an old book, to the names of the teas, the design of the food and crockery. The service was very slow and some of the people sat around us were getting quite agitated by the lack of service (the couple sat next to us were waiting for the bill for about twenty minutes), but the quality of the food and uniqueness of it all really sold it for me and is what will make me recommend it to family and friends! Don't get me wrong, I love a traditional afternoon tea, but sometimes it's nice to do something a little different. 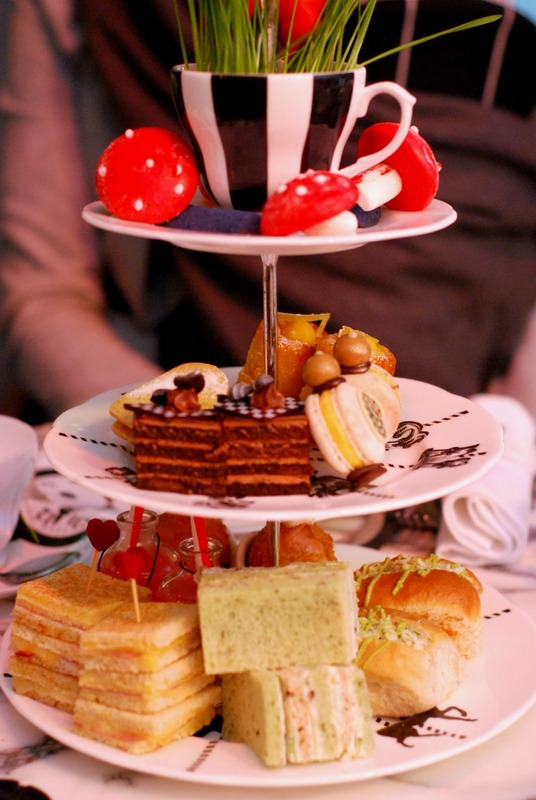 The Sanderson Mad Hatters Afternoon Tea costs £48pp for the non-alcoholic version. 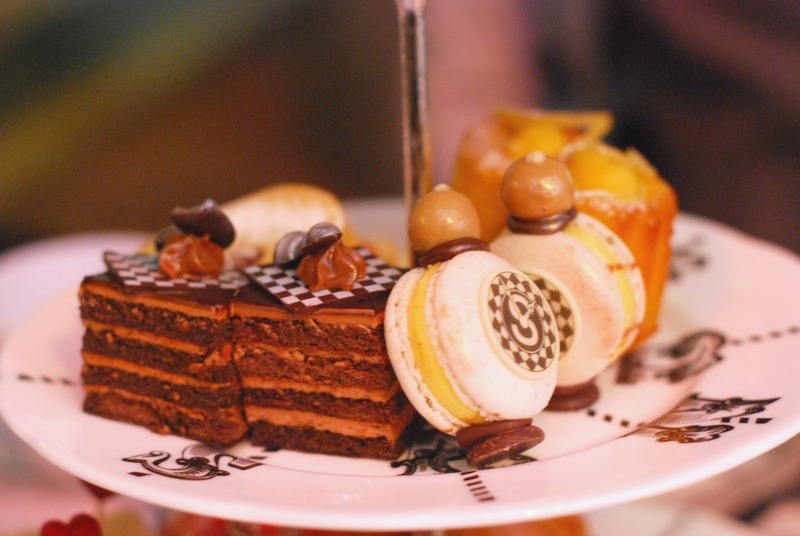 I've still never made it to this tea but it looks fantastic! ooh we did this afternoon tea for my friend's 40th in November!! just like you we were sat outside on the terrace and it was maybe a touch on the chilly side ;) but I loved all the cute touches like the menu in a book etc and the cakes were so beautiful. for me the winner was the 'watch' macaron! We absolutely loved it, such adorable little sandwiches and sweet treats! I love afternoon and this one looks like so much fun! 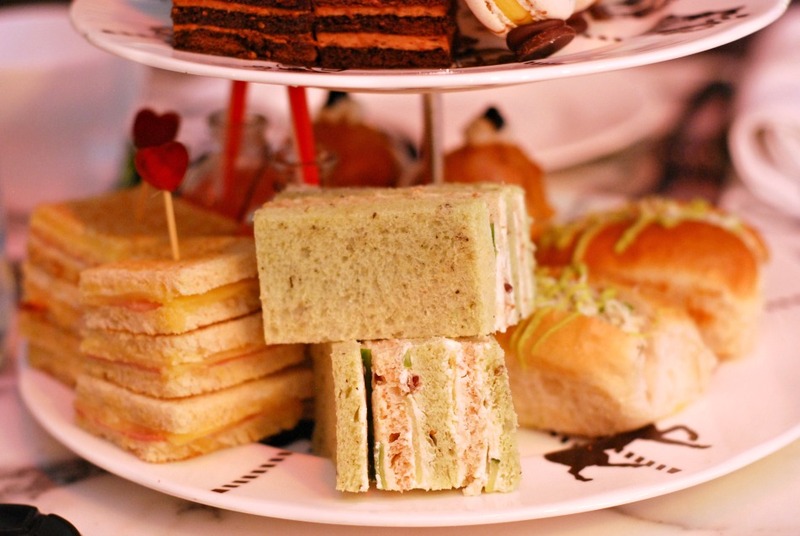 This looks like such a cute afternoon tea! I think my children would love the fun themed food. Was it a child-friendly sort of place, do you think? Same, I just love how much thought they put into all the little details! It was definitely one of my faves!